Desserts | Life's Conundrum - Eat to Live or Live to Eat? 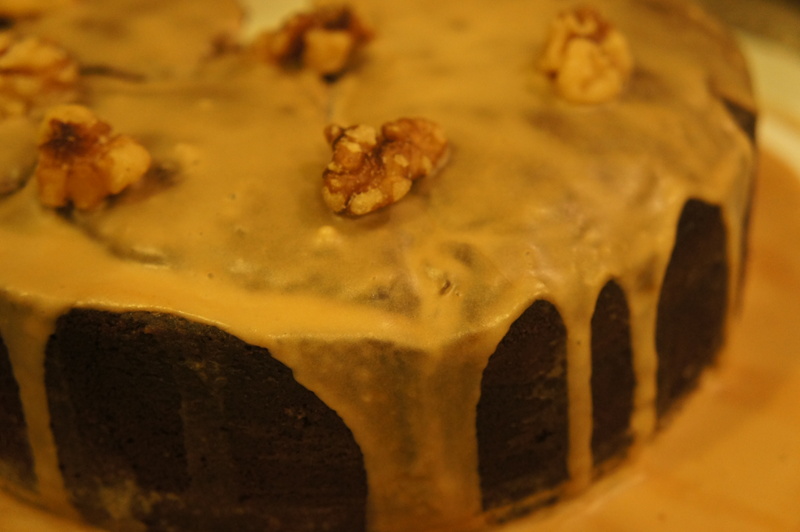 We have long been wanting to bake this cake but invariably defaulted to making something that had been tried and tested. 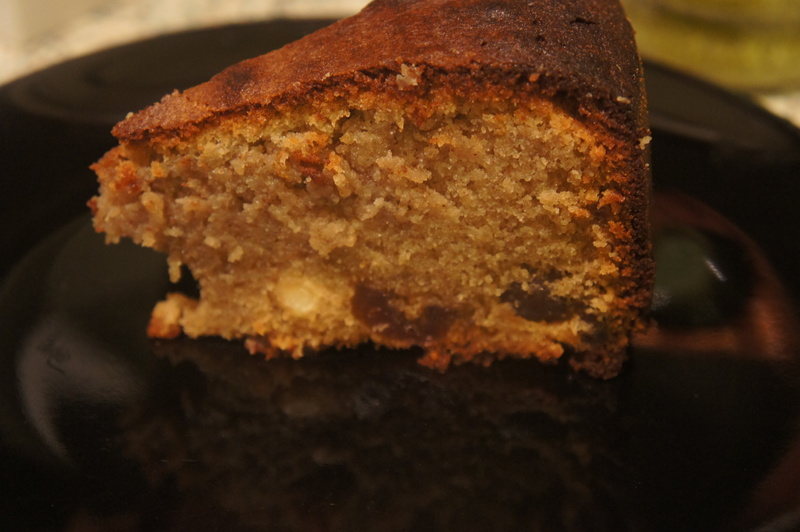 As we were expecting guests for lunch on New Year’s day we decided to take a chance and bake this cake for dessert. Grease and line cake tin with parchment paper – pre heat oven to 180 degree. Cream the butter and sugar in a mixer before adding the eggs, vanilla extract and milk. Keep mixing for a few minutes before adding the flour and baking powder. Continue till you get a nice glossy mixture. Spread the base of the cake tin with golden syrup – layer the pineapple rings with glazed cherries in the middle of each pineapple ring. Pour in the cake mixture and bake in oven for and hour to an hour and fifteen minutes till cake is done. 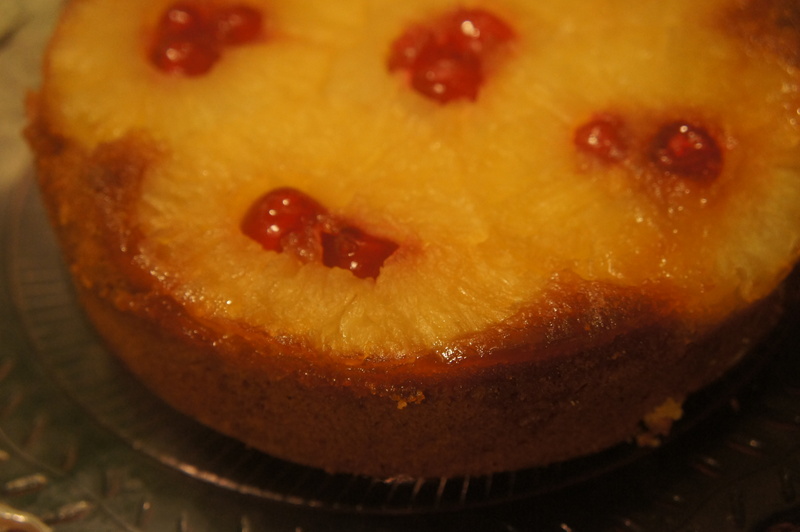 Remove and turn the cake over so the pineapple rings are on top. Serve with a dollop of creme fraiche. We had friends over for dinner last night and felt a bit creative with our dessert offering. 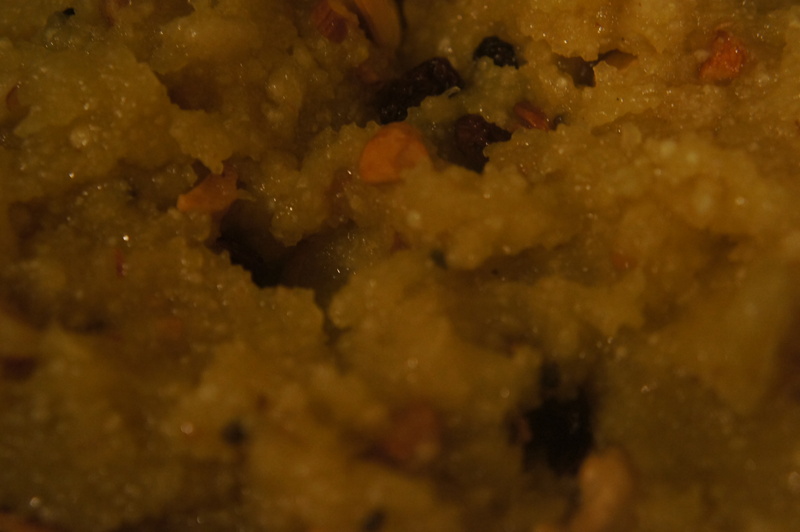 We have used “gari” or “cassava meal” previously in a savoury recipe as a substitute for “rava” or “fine semolina” and decided to try using it as the base for our gluten free kesari alternative. The cassava meal does have a bit or sourness to it which works fine in savoury dishes but not completely off putting in desserts (feel free to increase the amount of sugar to suit your taste). Roast the cassava meal over a medium heat till it starts to brown. Heat 2 tablespoons of ghee and roast the almonds, cashew nuts and raisins till the cashew nut begins to brown – keep aside once done. Then heat 1 1/2 cups of water in a wok – dissolve the sugar and continue boiling for a few minutes before adding the saffron and cardamom seeds. Reduce the heat to medium and pour in the roasted cassava meal and whisk vigorously to ensure no lumps are formed. 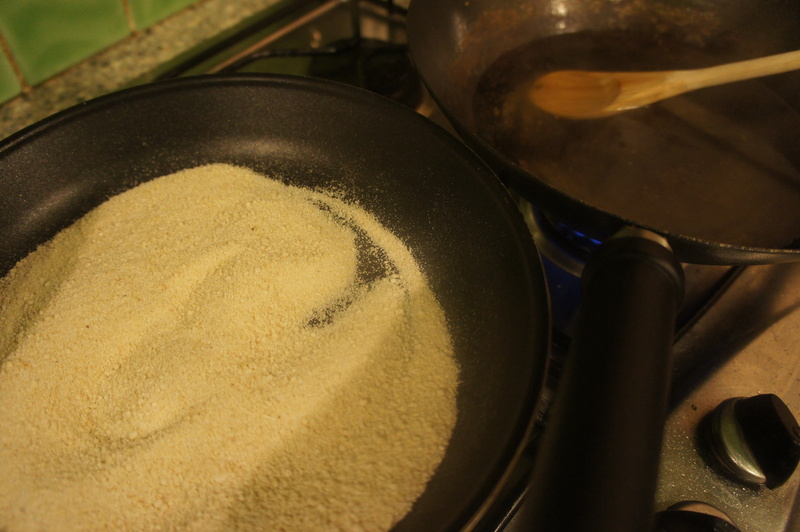 Add four tablespoons of ghee to the mixture and keep stirring till the kesari leaves the sides of the wok. 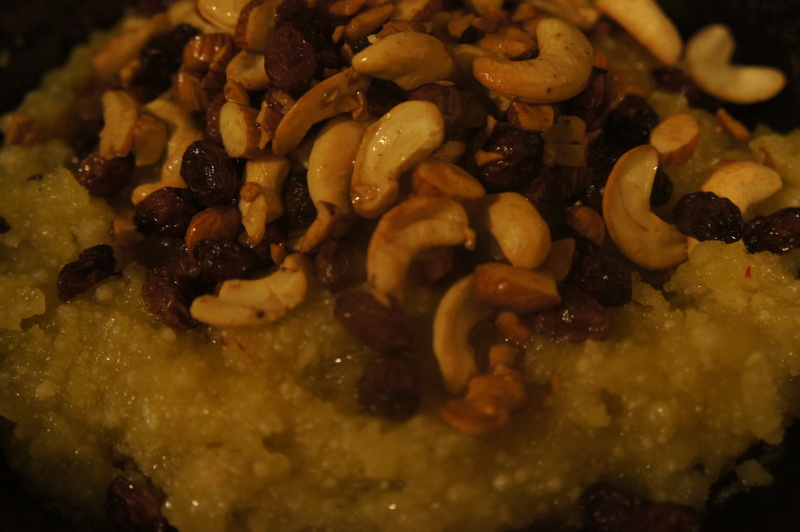 Switch of the heat and garnish the dish with the roasted nuts and raisins – mix thoroughly and serve the kesari warm. Diwali the Indian festival of lights is a time of year for families to get together and a time to binge on sweets and savouries with reckless abandon. It is traditional to make some sweets and savouries and offer it to guests when they visit during the Diwali festival. Anna and I both wanted to carry on the tradition of our mothers and grandmothers to make something afresh rather than buy ready made sweets which we have in the past. Here are a couple of quick recipes with coconut which are easy to make and sure to impress! PS. The macaroon is not a typical Diwali treat but something we made as a housewarming treat for a couple of dear friends of ours. Heat the sugar in a pan with a quarter cup of water till it dissolves and begins to form a thick syrup (should form a string when a spoon is dipped in and pulled out or if brave test between fingers – warning the syrup is piping hot). Reduce the heat to low and then add the coconut and cardamom powder. Keep stirring till the mixture leaves the side of the pan (shouldn’t take more than 10 minutes). Add the ghee, stir and take of the heat. Transfer the mixture onto a tray lined with grease proof paper and spread the mixture evenly (rule of thumb – aim for a height of 5 cm). Allow to cool before cutting into pieces with a pizza cutter. Enjoy. 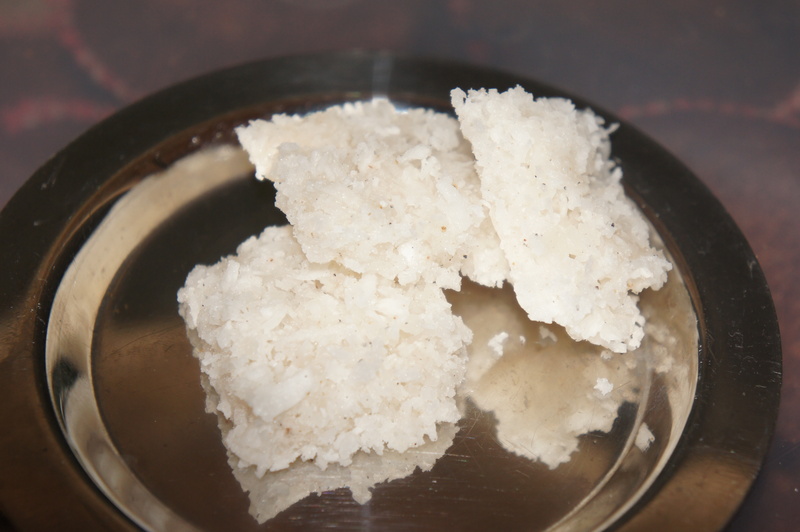 PS For a juicier barfi replace desiccated coconut with freshly grated. Pre heat oven to 180 degree Centigrade. Fold all the ingredients into the beaten egg white till you get a semi moist mixture (add more beaten egg white if the mixtures seems dry). Scoop a tablespoon of the mixture and place it 5 cm apart on a baking sheet lined with grease proof paper. Cook for fifteen minutes till the macaroons start to brown. Allow to cool before serving. 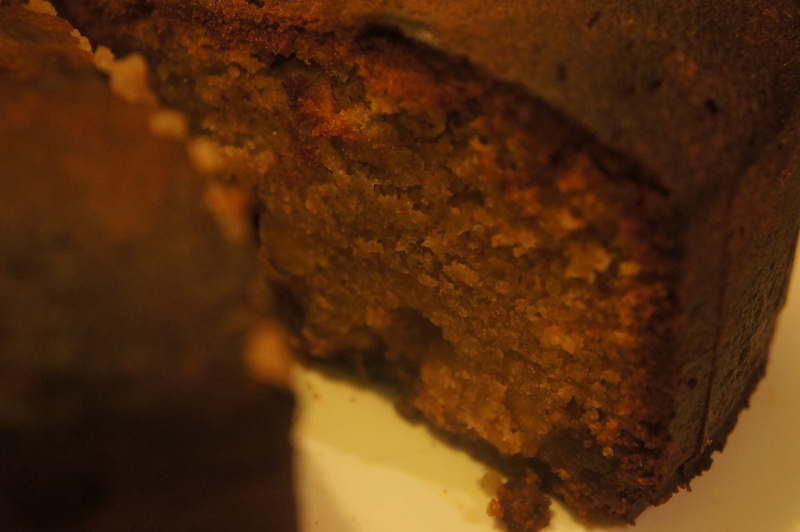 With Anna away I have caught the baking bug and been experimenting with chestnut flour in various recipes. 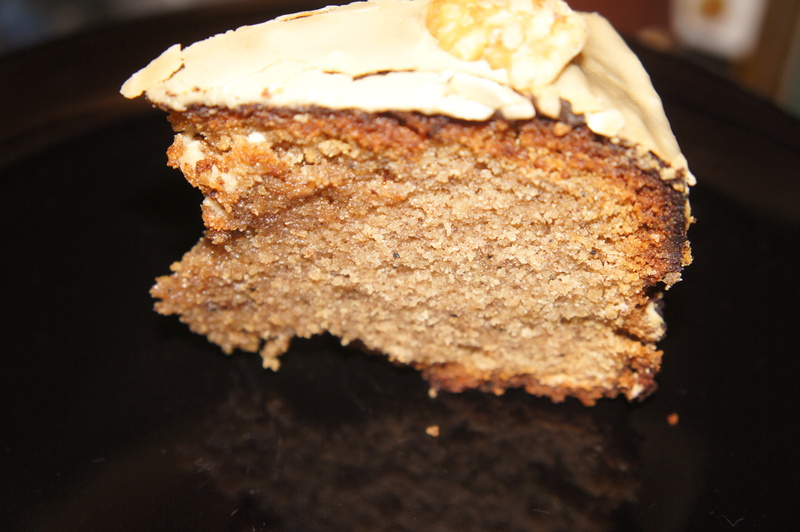 So far it has worked well in a coffee and walnut cake and as a base for pancakes. 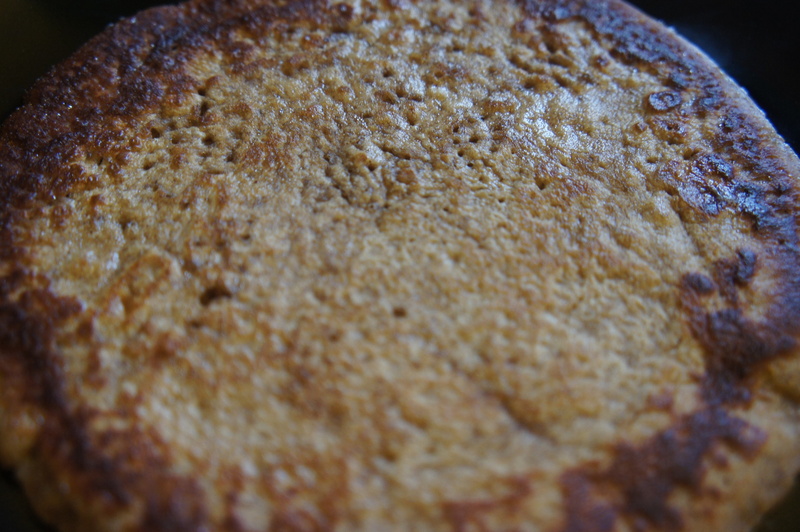 I have come to the conclusion that chestnut flour is fairly versatile and is a great alternative to gluten free flour mixes. 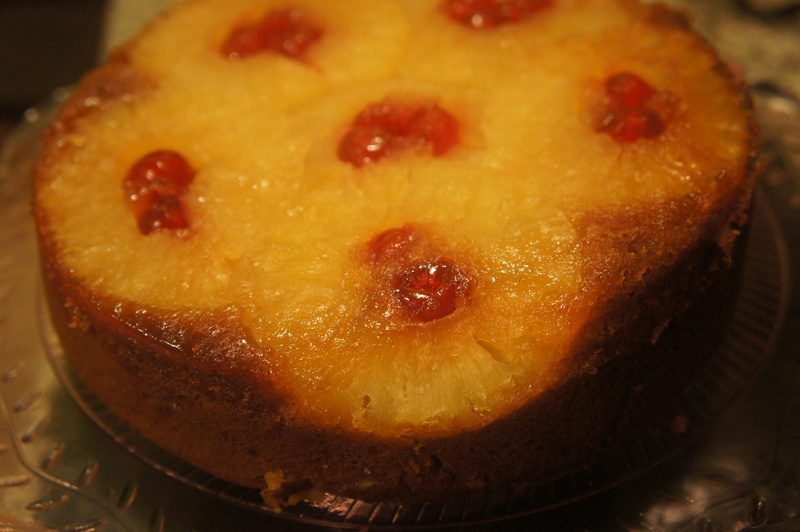 The proof in the pudding (no pun intended) was evident when I used it with almond meal to make a almond and cherry cake. I can’t wait for the cherry season next year to try this with fresh cherries as I think it would taste better. Cut the cherries in half and soak in the cherry brandy. Cream the butter and sugar in a mixer first before adding the eggs. 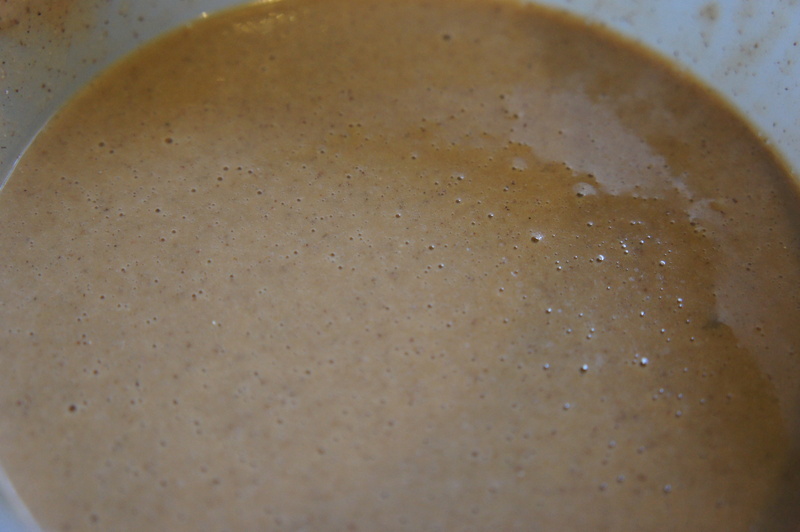 Add milk and hazelnut drink before sifting in the chestnut flour, almond meal and baking soda. Keep mixing till you get a nice glossy sheen. Fold in the glazed cherries and toasted blanched almonds. Transfer into greased cake tin and bake in a 180 degree Centigrade preheated oven for an hour till cake is done. 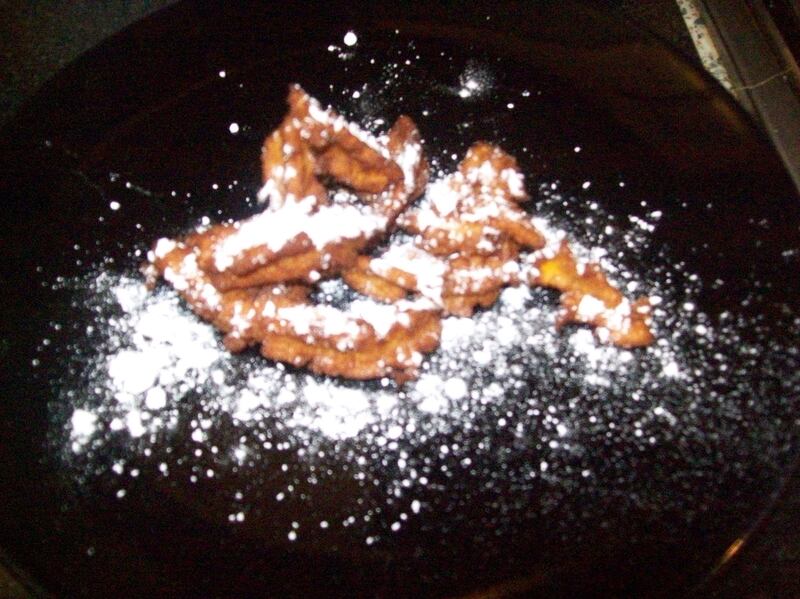 I dusted some icing sugar to keep things simple but might try making a cherry brandy glaze next time. Cream the butter and sugar first before adding the eggs. Continue whisking before adding the flour and baking powder. Whisk for another 5 minutes before adding remain ingredients barring the walnuts. 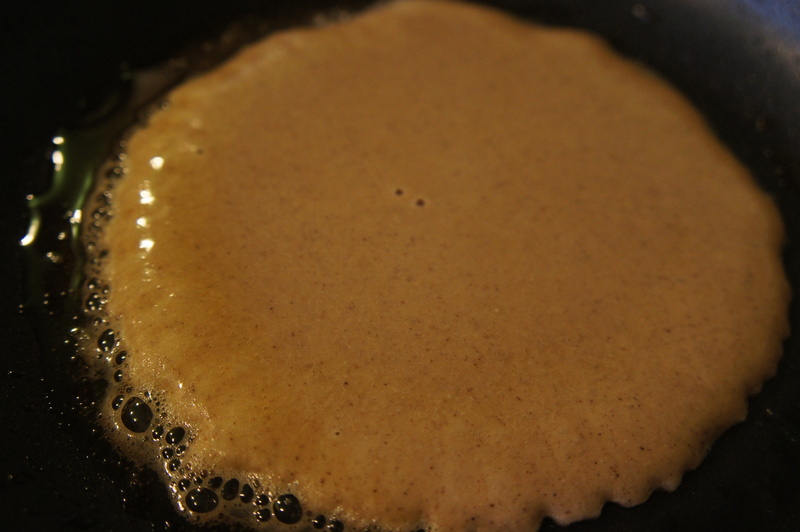 Keep whisking till you get a nice glossy sheen – finally add the walnuts and fold them into the batter. Pour into greased pan and place in a 180 degree Centigrade pre-heated oven for 45 minutes to an hour till cake is done. For the icing mix the icing sugar and espresso a little at a time till you get a thick mixture. Add more icing sugar if the mixture is too runny. Pour over cooled cake and allow to set before slicing and serving. Building on the success of the chocolate cake we got our creative juices going to make a dessert with some chestnut flour we had picked up recently. We are calling it gluten free churos as this is closest thing it resembles but still needs a bit of work to get the texture just right. We are pretty happy with our first attempt and thought we would share this with you in the hope that you can input your ideas on improving and perfecting it. Mix all the ingredients in bowl and knead together to form a soft dough. Heat oil in a frying pan and fry long strips till done. The end result is a crispy exterior with a semi chewy interior. 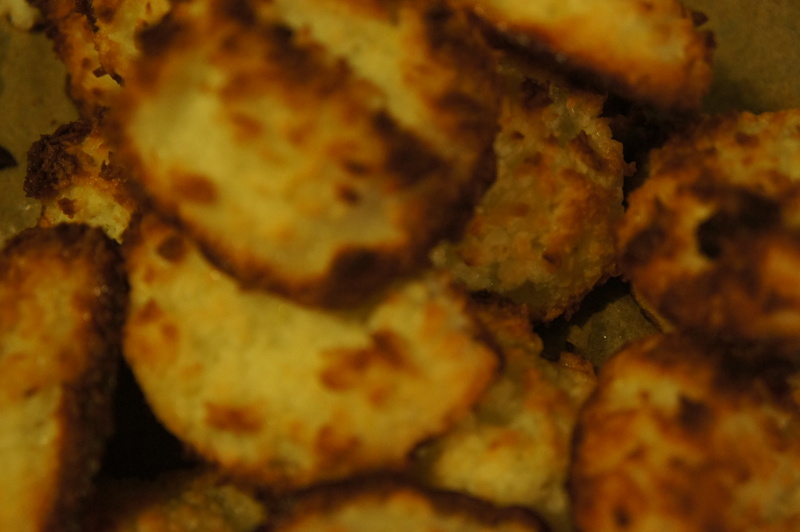 We used a traditional South Indian muruku press to place the dough into the oil – works a treat.